With a passion for technology and assisting engineers to compete with the best in the world, MSC-Africa was formed as a representative of MSC Software, the developers of world renowned FEA code NASTRAN. Although it underwent a number of name changes throughout the years, the vision and passion of our people never changed. Our vision is to enable our customers to solve the most challenging engineering problems. We do this by representing the best technology in the world and supporting and training our customers in applying the technology effectively and correctly. 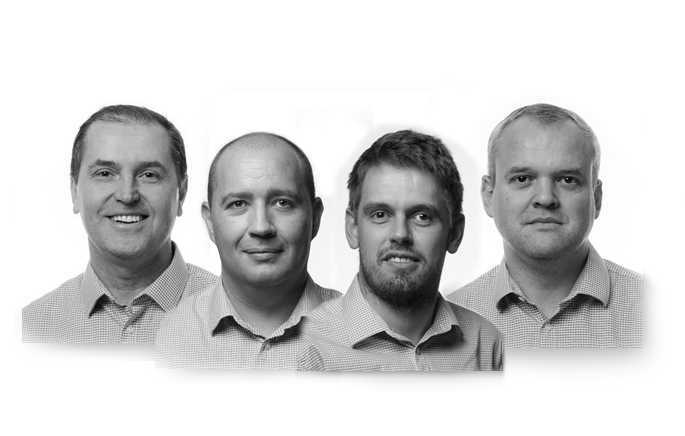 With a passion for technology, sharing knowledge and helping customers to solve difficult problems, our team of Mechanical Engineers are what has made our company successful from day one! In 1995, Cobus Oosthuizen and Gert Becker formed MSC-Africa, which was the sole distributor of MSC-Software products in Southern Africa. The first product to land on our shores was Nastran, today better known as MSC Nastran. The company focused mainly on software and services in the area of Engineering Simulation. From 1996, in order to address the total engineering simulation requirements of its clients, the company identified the need to broaden the scope of engineering technologies it offered. In 1996, ENSOFT was founded by Cobus Oosthuizen, Rudolph de Kock and Gert Becker. ENSOFT focused mainly on the delivery of Engineering Design Software to the Southern African market, and was the sole distributor of EDS Unigraphics' products, (now known as Siemens PLM Software). ENSOFT eventually became ESTEQ Design (trading as ESTEQ PLM). In 2002, Clinton Stone was appointed as Managing Director of MSC-Africa, and continued to develop partnerships with the best engineering simulation software and testing hardware vendors in the world. In 2007, MSC-Africa changed its name to ESTEQ Engineering, to represent this broadened solution portfolio. In 2009, the two companies (ESTEQ PLM and ESTEQ Engineering) amalgamated, to form one brand known as ESTEQ. Simulation, and Lifecycle Management requirements. In 2019, two long term employees of then MSC-Africa and later ESTEQ Engineering, Paul Naudé and Gerrit Visser, aquired the management shares in ESTEQ Engineering from ESTEQ Group and decided to seperate the company again and name it SIMTEQ Engineering. With a renewed focus on its core product portfolio from MSC Software, Vi-Grade, Ingeciber and Dynamore (LSTC), SIMTEQ Engineering focuses on solving their clients' most difficult problems using technology.